I can’t tell you the number of times the person in front of me is asked for their rewards card and they say: “Nah, I don’t have one.” It’s such a waste. If you don’t have a rewards card at the grocery store you shop the most regularly, then you’re throwing away money. Go sign up for your stores rewards program! I did and I save big time from it. Within a few weeks I was receiving emails for saving on my specific spending habits. As you can see from this pic, I’m saving 20% on several items we buy regularly. INCLUDING MEAT!!! Shopping from a list is not only efficient, but also provides a saving opportunity (and you’re less likely to throw food out, as you have a plan for what you purchase). Make sure you’re getting the right food and not wasting extra time and money wandering around the store for things that grab your attention. If you need the list that we use you can sign up for our newsletter and get access to the list and several other resources that can save you money. All done your list and plan? Great! Now it’s time to save money at the grocery store. Ok, you have pre-planned your shopping, now you need to hit the store for the big game! 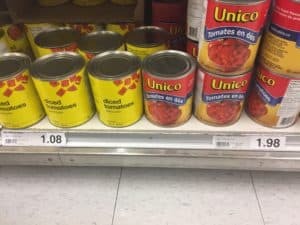 The first thing you should do on your next trip to the grocery store is to find out when certain items get marked down. Find the store clerk and ask them when this happens. Is it overnight? In the evening? Midday? Certain days of the week? Don’t ask one person, ask a few. I make it a point to ask the stock person, the department manager, the cashier and anyone else. It’s a good idea to ask a few people as they can mark things down at different times of the day. As you can see the results speak for themselves. If food is one of the largest expenses, I would imagine meat makes up a large part of those expenses. It’s a huge part of every food budget and it’s not lowering in price anytime soon. Next, start to show up when things are marked down. 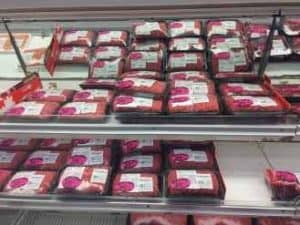 I have been able to get meat that is 30% off (see the pic above). With my above 20% discount from my weekly email that’s upwards of 50% savings!!!! As soon as it comes home, it’s split up and placed in freezer bags for when we need it. This way, there is no need to worry about it going bad. Other times we cook it all up and freeze it to use it for crockpot recipes. I’m amazed at how many times I casually pass the end of aisle before I see the pure gold of savings. From coffee, to hair care products, there are lots of “end of the aisle surprises” that might make sense for your budget and spending. I’ve been very guilty of buying which ever brand is the cheapest. Until recently I realized I was doing things the wrong way. A little due diligence can save you a lot on money. Remember the price you pay isn’t the only factor. 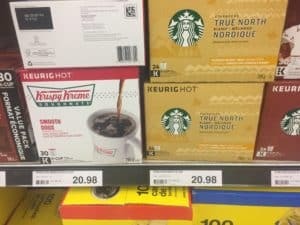 A brand name product might be the same price as the generic brand, but it could have 20% less product. Take these two coffee boxes in the picture below. They’re the same price but one has fewer cups, making one cheaper. I’ve never been a huge fan of frozen food until recently. Someone pointed out that frozen foods aren’t the same as they used to be. Now when vegetables and fruits are frozen it’s done almost immediately after harvest. Today, we use a technique that flash freezes the produce to preserve them better. Compared to fresh produce that is gathered, shipped in a container and sprayed with chemicals so they last longer, fresh produce seems to have some advantages in this regard. Then, they sit out for any grubby hands to fondle them before you them and bring them into your home. Ok, I went too far on that one, but you get the point. Frozen foods last longer and they’re definitely not what they used to be. If you are buying produce to cook it up may be worth looking at frozen instead of fresh. If you haven’t considered PC Financial (as an exmaple), you should (I’m not an affiliate but I have been using them for over a decade). 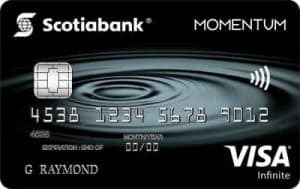 They have no fee banking, and you can take out money free of charge from any CIBC branch. Banking with PC will give you extra points which will translate into free groceries down the road. 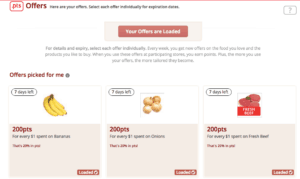 By banking with them I get extra points which I can apply to my groceries. Saving money on groceries and saving money on banking is a double win. I use a cash back credit card that gives me extra cash back rewards when I spend money on groceries (and other things purchased at the grocery store). Doing the math it made sense for us. The average family of 4 spends $1000 a month on food. 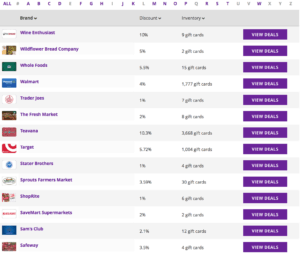 If you can save 4% off your monthly groceries, that’s $40 every month, or $480 a year. That’s worth looking into. Of course, if you have spending problems or issues with using credit then this should be avoided. But, if you know that you’re spending $1000 a month at grocery stores, then a cash back credit card might be a good thing for you. Credit cards aren’t a good fit for everyone so exercise your judgement here. This is harder to do with a strict budget. 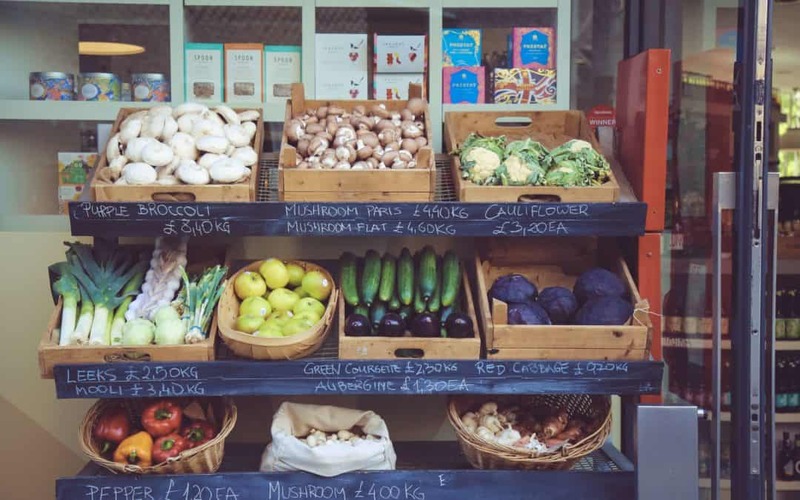 If you can, start thinking of your food spending like a business. If there is a sale on chicken and you can afford to buy extra, then buy extra. The savings are better to get now rather than when you come back in two weeks for more chicken only to find it’s back at the regular price. Most of the time the things we need won’t be on sale at the time you’re shopping for them. When you look at your food budget as a year long budget and freeze the extras that you buy, you can find yourself saving tons of extra cash along the way. Remember every dollar you keep is another one you don’t have to earn. It all counts! If you are looking for a 4% cash back on your groceries, this is the card I use and recommend. If you haven’t checked out Gift Card Granny, you should. People sell their gift cards at a discount, which means a savings right from the start. I looked into a few (see below) and you can save 4% at Walmart, 5.5% at Whole Foods and 5.72% at Target. These are savings that come off the top. 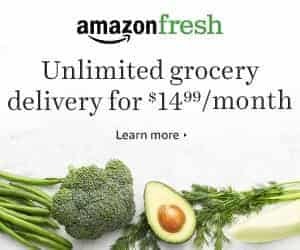 Think of it another way, if you were spending $1,000 a month on groceries, and only shopped at Walmart, that’s an extra $40 in your pocket, for taking the initiative and finding a few ways to save before even leaving the house. Click the image to check out Gift Card Granny and start saving. I’m sure I’ve missed other ways to save money at the store, so let me know some of your tips and tricks in the comments below. In my book, I suggested using credit cards with rewards to purchase things you are going to buy anyway– but some reviewers said this was a stupid idea. It still makes sense to me, though! My family and I do almost all of our grocery shopping at a Super Target very close to our house. On top of the already great prices, the Red Card for 5% off (debit version) and their Cartwheel app for additional savings have both saved us a ton of money over the past few years. 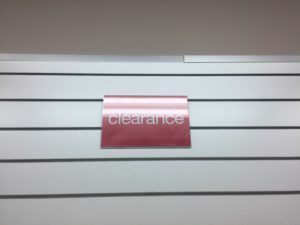 That’s an awesome savings at Target. Thanks Tim!